Some weeks ago the Esure celebrity Award was wrapped up in owerri acheviving the main Aim of the Award which is Reorganizing our sons and Daughters who are making waves in the industry despite all the struggle. 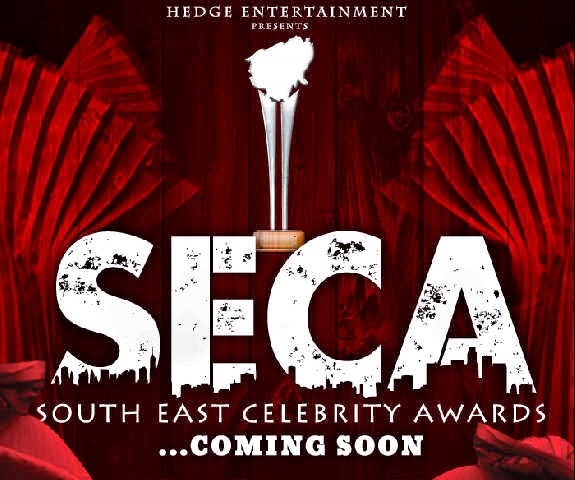 This time HEDGE ENT Presents South East Celebrity Awards, Speaking to the Founder HEDGE Entertainment he told us SECA is aimed at honoring the best in entertainment industry in the south eastern region of Nigeria and it promises to be the alpha of all award events. This upcoming Event will Feature Rappers, Djs, Comedians, Producers, Radio Presenters, Bloggers and all those who are taking the Entertainment Industry of South East Far and Beyond..